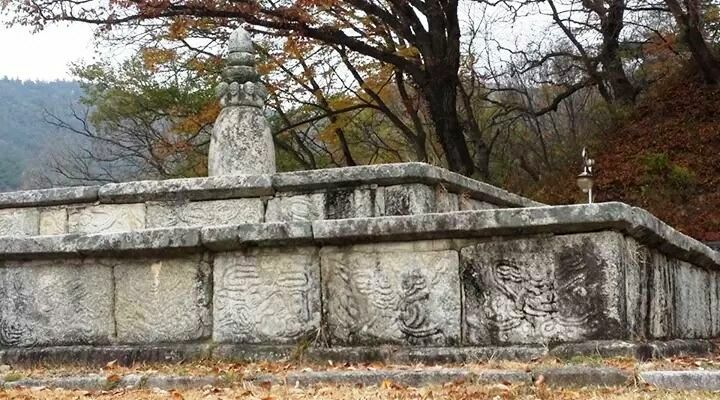 see the main one at Tongdo-sa to understand its significance. 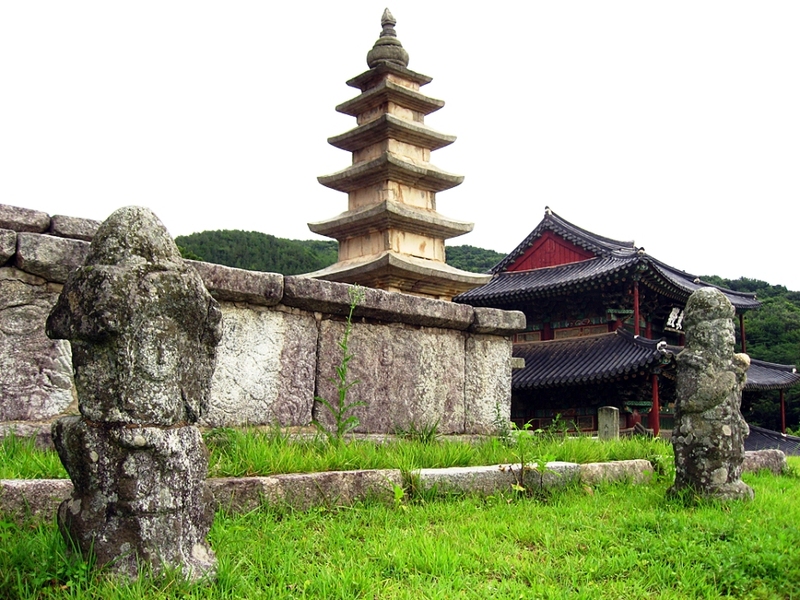 This view is from the Gyedan on the SE corner of the courtyard, looking NW. 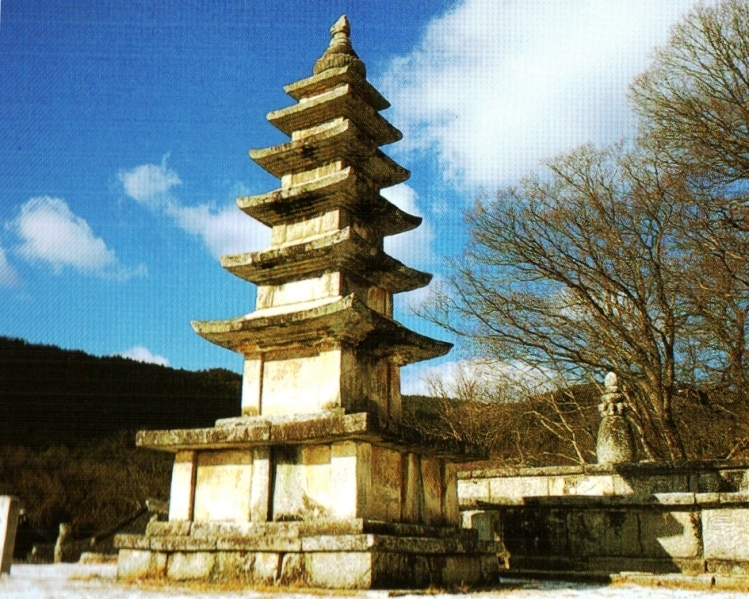 its refined structure and the exuberant carvings decorating all its sides and its “stone bell” stupa. 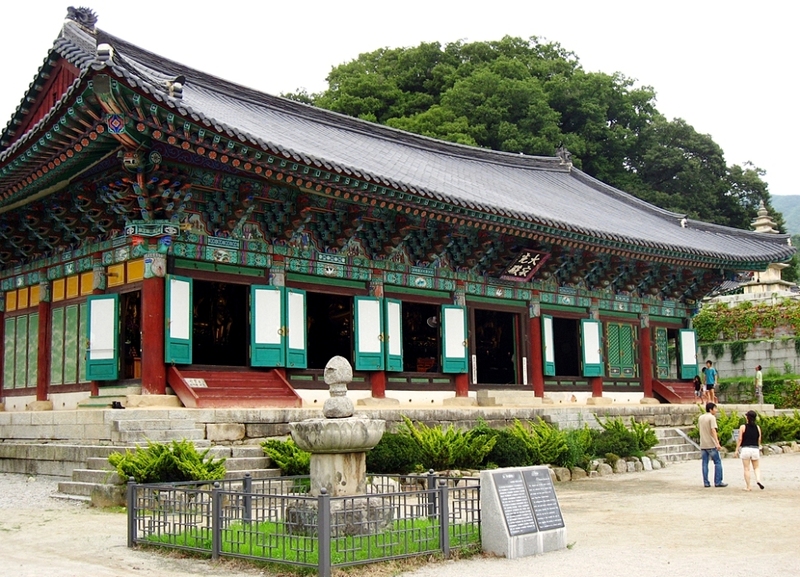 present buildings were reconstructed in 1635, and refurbished several times since then. 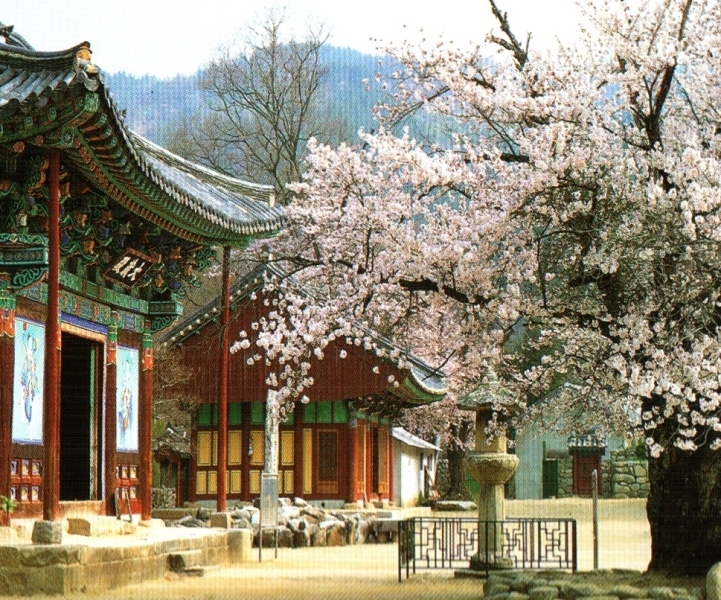 District of the Jogye Order, and is one of Korea's most popular destinations for pilgrims and tourists. 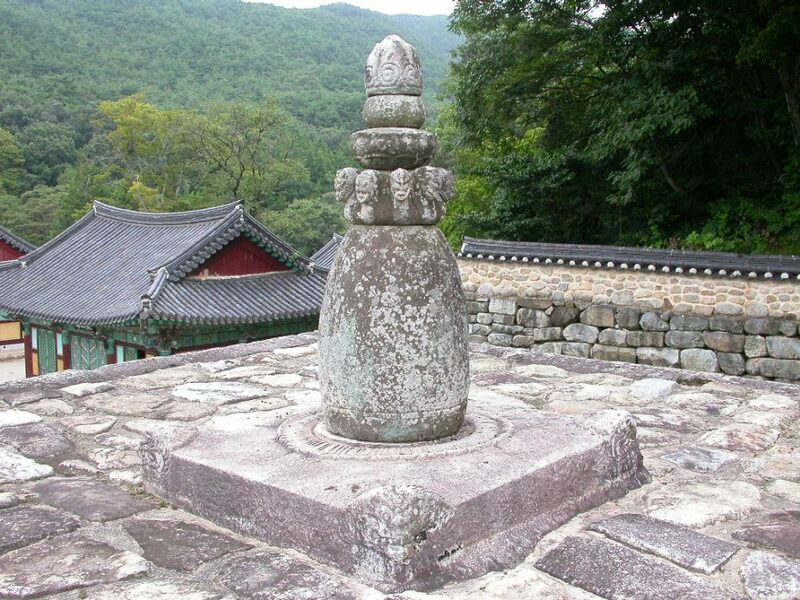 the Stone Flagpole-supports (Treasure #28), the Goryeo Stone Lantern (Treasure #828) and more. 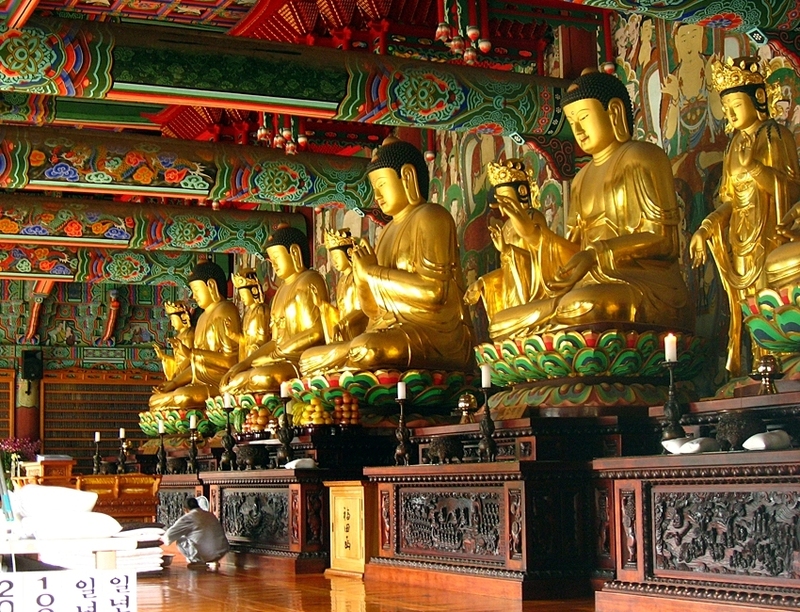 accompanying the Gyedan, both just east of the Mireuk-jeon. all the roofs, so that it was much taller than now. 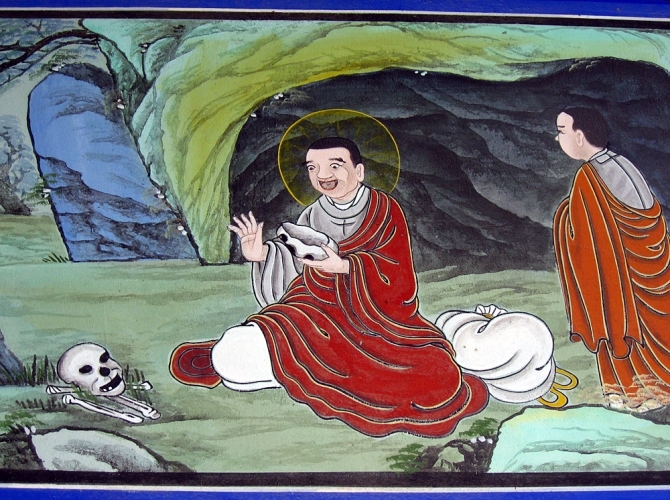 vowed by the novice, transforming him or her into a monk or nun; also called the ordination platform. 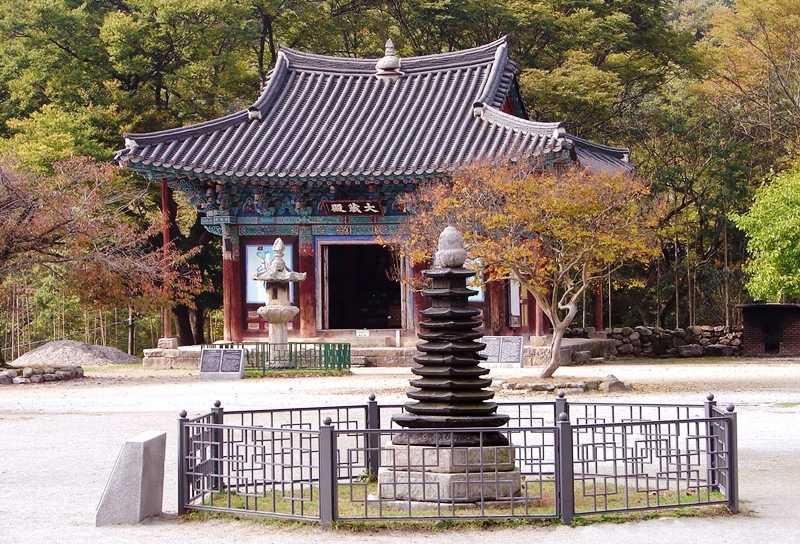 In Korea they are usually a square granite platform with a second raised square level in the center. 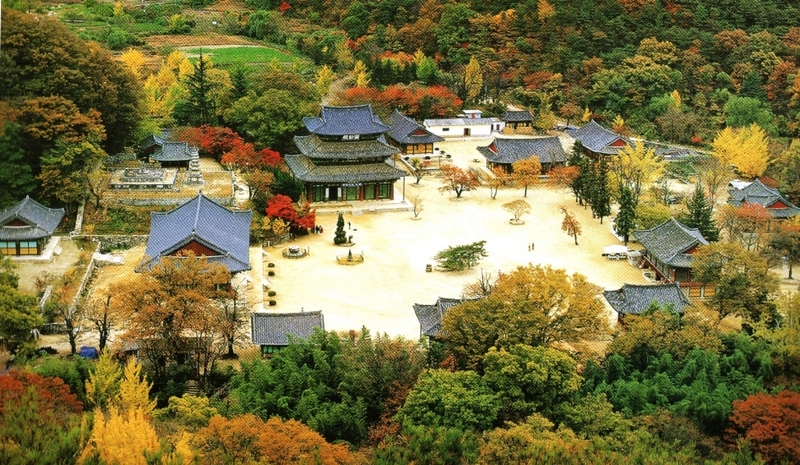 Standing at the Daejang-jeon (see below), looking south across the Main Courtyard towards the Mireuk-jeon. 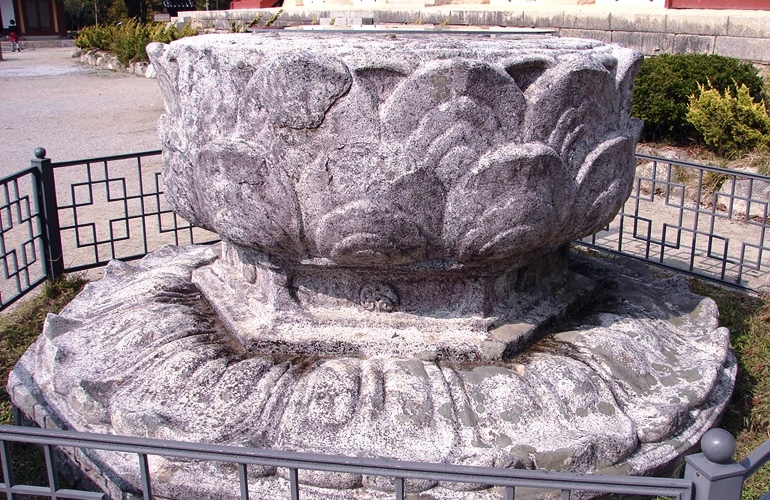 Nine Dragons, an ancient Buddhist guardian-motif, encircle the first finial.